I was one of the numerous people to learn to use Michael Porter´s sustainable competitive advantage concept, describing how to build a favourable, long-term competitive position in industries by building entry barriers. Over the years, Porter's concept has received a lot of criticism, and in recent years both research and practical experience have created a strong evidence of its shortcomings. These findings have also much to offer to an individual company's strategy. Sustainable competitive advantage is forgetting, the critics say, that globalisation, digitalisation and other changes have crucially altered competition. More and more companies are realising that intra-industry competition is not the biggest threat: Industries are fighting against other ones and different business models compete with each other. Today's competition has many faces: Besides close substitutes, it can be a low-end disruption to meet customers´ most basic needs, a new market disruption to serve new market segments or it maybe a big bang disruption that combines existing technologies in a new way and thus creates dramatically improved user experience. As a consequence, incumbents often ignore these new competitors. And because of their competitive position can not be secured permanently, companies must strive to build more short-term, transient competitive advantages; seize opportunities, utilise them and be ready to move on to new ones, when former opportunities are drying up. If a company builds its business, systems and processes to only protect its competitive advantages, it is difficult to change, when business environment requires more flexibility. Instead of defining competition based on very similar, substitute offerings, customer needs should be emphasised. Customers are trying to get some jobs done in their lives, whether it's something useful or fun, and for this they are looking for different kind of solutions - regardless of where these solutions are coming from or if their vendors realise that they are competitors or not. In this context, where competition environments can be called arenas, product features, technologies or gradual improvement will no longer provide long-lasting competitive advantages. Customer relationships and user experience are more valuable, but they are volatile, too. Nokia is a great example: It was long capable to monetise its efficiency, brand and distribution capabilities, but then came Apple with its iPod music players and iTunes music store, followed by iPhone smartphone and App Store, and took the leadership position in smartphones. In the world of transient competitive advantages a company must build skills and capabilities that are useful in arenas, where the company will end up competing. Here we do not necessarily refer to traditional planning followed by execution model or drifting along with the current - the future can be also successfully shaped using a process, where product and business model are iteratively verified with customers and markets. In the following case, we shall discuss Tiimari, a Finnish retailer, which will be analysed using the tools described above. The analysis is based on public material available. It will look at the current situation, as well as use the situation in 2006 to 2007 as a benchmark. The company's structure, ownership, and scope of business operations have had various changes during these years, but their impact on the findings and conclusions is relatively small. Tiimari business consists of interior decoration products, craft supplies, stationery, school and office supplies, as well as various seasonal products (Christmas, Easter, etc. 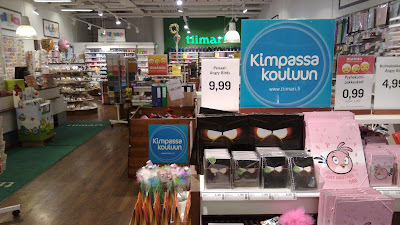 ), with retail store operations in Finland and the Baltic countries. The product range includes both unique products manufactured only for Tiimari and standard products. Tiimari acquire their products from domestic and foreign suppliers, it does not have its own manufacturing operations. The majority of the Tiimari customers are private individuals. The customer base is heterogeneous, but the main target group are mothers (25 to 45 years) and daughters (5 to 15 years). In 2007, the company's business was essentially similar to the current one. Net sales in 2012 amounted to EUR 62.1 million (2007: EUR 74.6 million) and operating income EUR -8.2 million (2007 EUR 4.3 million). The company has made losses since the year 2008. The company lists Tiimari brand, affordability image, product range and store network as its competitive advantages. To differentiate themselves from competitors and to improve margins, the company seeks to buy the majority of its products directly from Far East suppliers, who do not supply similar products to major competitors of Tiimari. The 2006 annual report refers to the same strengths as mentioned above, and in addition mentions skills of senior management and other organisation, a good competitive position and effective procurement and logistics function as advantages. 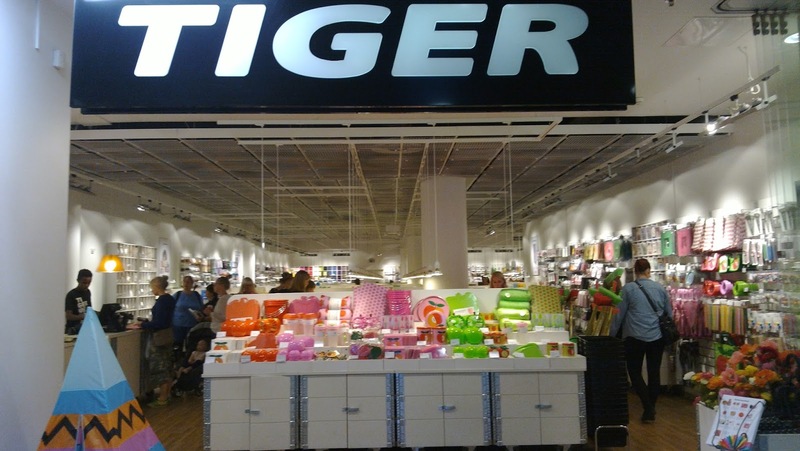 Tiimari, by themselves, do not identify any direct competitors, i.e companies, which operate in the same markets, in the same product categories and focus on retail chain sales - media, on the other hand, mentions Tiger, Hemtex and Claes Ohlson. The most significant indirect competitors, as Tiimari see it, are speciality stores (such as book stores, hobby shops and various lifestyle stores) and hypermarkets with significantly narrower range. The 2006 Annual Report sees the competition in much the same way. Tiimari sees its industry from product perspective. Strong focus on brick and mortar sales as the only sales channel is complementing the picture. In addition, the company has been building communications based on product use (crafts, decor, children's parties). From consumer point of view, the message is confusing and stuck in the middle between product and use perspectives, because for each of the use categories, Tiimari offer only a quite narrow range of low price products. The fact that Tiimari sell own products and standard ones that are widely available also elsewhere, makes the situation even more complicated. Consumer needs and buying behaviour have changed considerably since 2006, not to mention the situation more than ten years ago - to give some examples, it was very rare that a mother or a daughter had a smartphone, and also social media was still in its infancy. If Tiimari want to define their offering based on product use or jobs to be done, they should make their activities more focused and update product lines to better meet current and emerging consumer needs. Tiimari´s competition is much broader than they realise by themselves. First of all, the products sold are mostly not necessities, but rather bringing consumers joy, fun and new ideas. For this kind of needs, consumers are offered a tremendously wide range of new products and services, particularly enabled by new technologies. Secondly, countless online stores provide consumers access to all categories and products that Tiimari offers - it is not only domestic brick and mortar stores that are competitors, but virtual merchants throughout the world. Tiimari seem to think that their success factors are close to eternal, even if the world around us is changing. Consumer awareness of Tiimari stores is certainly still good, but overshadowed by the above-mentioned vague positioning. The company's marketing and communications are also not updated to meet the present day: For example, use of the Internet to find and acquire customers is lousy. I did a test, how Tiimari will rank in search engine results (SERP) with its key business search terms (test made in Finland with Finnish search terms): Craft (askartelu in Finnish) rank 46, interior decoration (sisustus) more than 100, stationery (paperitarvikkeet) more than 100, children's parties (lastenjuhlat 2, school supplies (koulutarvikkeet) 99 - in general, all the familiar and unfamiliar competitors had better results. Affordability image is still strong today. Even to the extent that it substantially interferes expansion to more comprehensive solutions and to more expensive products. Effective procurement is not anymore among competitive advantages, but Tiimari still believe that they can differentiate based on product range. If yes, it is very probable that these advantages will not be long-lived, due to widely deployed global procurement and the Internet. The last of the competitive advantages is the sizable store network. The network strengthens Tiimari brand, is a communication channel with customers and the sales completion means. But little by little it has also become a barrier to success, a factor that severely limits business development options. As previously discussed, opportunities to use the Internet and social media for awareness building have not been used, communications in the web is - despite of existing loyalty program - almost entirely one-way, and the company does not have any e-commerce site yet. Secondly, it is very slow to transform high cost store network and store concepts to match with change pressures coming from customers and markets. The results of the analysis clearly show that Tiimari´s strategy and competitive advantages have lost much of their strength and are often deadweight, when building future success. Here are some ideas, how to update the current approach and to create more flexibility, making responding to future challenges easier. Tiimari´s definition of its industry and competition are the biggest obstacles to a successful future. To be able to renew itself, the company must look for customer jobs to be done - which do not necessarily coincide with Tiimari´s existing products. This also calls for redefinition of company positioning, so that it would be possible to actually realise goals. Next, the company must create willingness and readiness to listen to customer voice in their business development. In other words, Tiimari need to test new products, business models and concepts at an early stage, before making any major investment decisions. The Internet and social media provide very affordable and flexible tools for testing purposes. Key new capabilities to be built include creation of e-commerce capabilities, inbound marketing, customer acquisition and retention, as well as creation testing execution skills. Online shop is absolutely necessary, not only to expand customer interface and to meet customer expectations for today's retailer, but also to create a fast tool to test demand of new product categories and products. Inbound marketing grows awareness of company products and improves attractiveness of the brand. In addition, it lays foundation for determining e.g. customer needs, business models, target segments and marketing messages. Together, web activities and the physical stores get customers to truly commit to Tiimari, which will be reflected in willingness to two-way communications and in participation in business development enabled by web testing. The above tools will not be sufficient, unless skills and processes are developed to use them systematically and continuously. Tiimari also needs more speed to be able to react to changes. The biggest slowing factor is stiffness of the store network. It is not foreseeable, of course, that the company would get rid of the assets, so pronounced in its strategy, but by building e-commerce capabilities and supporting online presence alongside, response speed improves significantly. For example, launching new own products and store concepts is much more effective through tests and continuous improvement than by trying to do advance guesses requiring considerable investments at a very early stage.